I recently finished writing a book on the new release of the JavaFX 2.0 SDK and it has already been placed on the shelves at a bookstore (Amazon) near you. The book will walk you through, step-by-step, giving you the ins and outs of JavaFX 2.0. When you encounter a chapter you will be presented recipes which will pose a problem (use case scenario) that will have an associated solution. After a proposed solution you will be shown an example source code listing and its display output after the program has been executed. Lastly you will be shown a section called “How it works” which will explain and discuss the examples and their details. To see more about this book, such as the source code and errata, please visit Apress Publishing (http://www.apress.com/9781430242574). In this blog entry I also want to give you a sneak preview of a Java Webstart example of chapter 3 recipe 3-1 (JavaFX 2.0 MP3 Player). To launch the JavaFX MP3 player just jump down to Chapter 3 below. I begin by instructing you on how to get your environment set-up to rapidly develop rich internet applications using Java and JavaFX. How do I create GUI applications? What is the Scene graph? How do I display text onto the scene graph? How do I incorporate UI controls into my application? How do I bind expressions? How do I generate a background process? How do I associate keyboard sequences to applications? 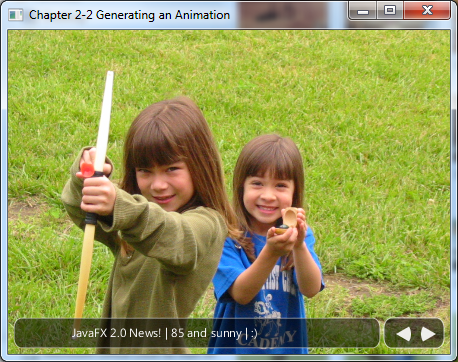 In chapter 2 there are recipe examples which delve into JavaFX’s graphics and animation capabilities. I begin by explaining some of the basics of JavaFX’s Graphics such as rendering images and animating nodes. I then go on to more advanced topics such as animating with transitions, manipulating layouts, and enhancing nodes using JavaFX CSS. The following picture, taken from Recipe 2-2, depicts an image viewer application with a custom news ticker control at the bottom. Chapter 3 covers all things media related. Here I reveal JavaFX’s media APIs which allows you to integrate audio and video into your applications. I begin by showing you how to create a JavaFX MP3 player and a video player. Then I will walk you through the different ways to enhance the video player with additional features to control media actions and events, mark positions in a video, and synchronize animations. The illustration below, taken from Recipe 3-1, depicts a JavaFX 2.0 MP3 player with a graphical visualization (using the AudioSpectrumListener API). Before launching the example you will need to know the requirements and instructions to run the demo example. Click the Webstart launch button below. By using your file explorer on your host operating system “drag and drop” a music mp3 file onto the surface of the application. Use the controls to the bottom right of the application to pause, play, and stop the music. You may use your mouse to drag the application around your desktop. To close the application click on the ‘X’ in the upper right hand corner. In chapter 4 you will be able to take advantage of the interoperability between JavaFX and HTML5. 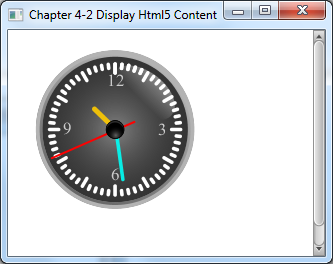 Depicted below is an animated analog clock application, taken from Recipe 4-2, demonstrating the ability to render HTML5 content. I assume you know the Java programming language and some web development concepts. I hope you will enjoy these examples which can be used freely in your own projects. I’ve tested the examples with the latest Java 7 update 2 and JavaFX 2.0.2 runtime and SDK. If you have any questions or comments feel free to ask them here or on my Twitter account @carldea . This entry was posted in Books, Enterprise, JavaFX, Language, Rich Client and tagged 2d, audio, author, bind, book, carl dea, controls, cookbook, desktop, eclipse, examples, forms, GUI, html5, ide, introduction, Java, java 7 recipes, Java7, javabean, JavaFX, javafx 2.0, media, mp3, mvc, netbeans, oracle, presentation model, radial gradient, recipes, ria, rich client, svg, threading, transparent, ui, video on December 19, 2011 by carldea. Hi, I am ordering your book from Amazon. However, I do have this general concern about javafx against html5. I have blogged about it here (http://buzzingminds.wordpress.com/2011/12/02/my-thoughts-on-how-javafx-can-survive-the-coming-html5-blast/) . I want to know what you think and why you will still advice that java developers should concentrate on JavaFX. Thank you for getting my book. I think you shouldn’t have any concerns or worries about JavaFX competing with HTML5. I don’t see them working against each other at all, but rather working together to complement one another. 6) Controls and other node types coexist with animation APIs. 16) Allowing jvm languages (Jthon, JRuby, Groovy, Scala, Visage, Closure) to build awesome GUIs. 18) Takes advantage of the graphics hardware on Mac, Windows, and soon on Linux. 20) FXML for standards and tooling. We all know that not all browsers are created equal. So, it is often difficult to build reliable software that runs in a more predictable way. I believe JavaFX/Java is an ideal way to build rich applications and it is here to stay. JavaFX may not be popular compared to HTML5 but being popular doesn’t mean it will solve every use case. However when it comes to adoption I do feel JavaFX will need to work very hard on its deployment story (jre, applets, etc) and get things right. To be honest with you I don’t really know what the future holds. Based on the history of many companies that own great technology will often position themselves where they can navigate through a legal landscape (maze, land mines). I believe Oracle has met and delivered on many milestones (promises). At the rate they are going things look great for RIA and desktop development. Yes, it would be wonderful to see Apple relax licensing to allow Java/JavaFX to run on iPad and iPhone devices. This would usher in a huge developer mind share. I also believe JavaFX on the Android OS would be a perfect fit but I don’t see that will ever happen unless egos and lawyers settle things out of court regarding Java and Android. Since Java/JavaFX is open sourced I think running on iPads is more achievable. 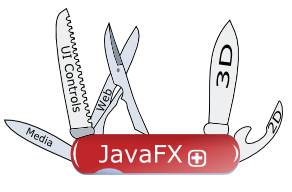 Where will you recommend as the best forum out there for JavaFX Questions & Answers? i think javafx is wonderful.I bought your book recently (its yet to arrive) ,but from the sample code , i noticed that you loaded videos mainly by a drag event. i have tried loading videos from a local file (on my computer) but it just doesnt work any ideas ?? The video, must be encoded using the On2 codec in VP6. In the book to run the video example you should download the video from Media College at:http://www.mediacollege.com/adobe/flash/video/tutorial/example-flv.html. The book mentions: “…locate the link entitled Windy 50s Mobility Scooter Race that points to our .flv media file (20051210-w50s.flv). In order to download a link consisting of a file, right-click to select “Save target as” or “Save link as”. Once you have saved the file locally on your file system, you can drag the file into the media player application to begin the demo. If you have issues let me know what platform(Windows, Mac, etc), JavaFX, and video file format you have. If you are stuck on an example or there is a bug, feel free to let me know. Sorry, but none of the code works for me, but I’m using Linux. And it is not just your book. The code from Pro JavaFX has program features that fail. JavaFX 2.0+ is limited to Win XP SP3 or greater using the Runtime installed correctly on the Win box. We may have to wait for Java8 / JavaFX 3.x to evaluate any Java working as a cross-platform solution. Do you still need help in getting the code to run? Java 7 update 3 or later will get you the latest JavaFX 2.1. I’ve tested and have ran most of the examples on Linux (Ubuntu) and things seemed to work fine. Please check your JAVAFX_HOME and JAVA_HOME before running the examples on the command line prompt. My name Frans, today I become one of your twitter follower too. I already read some content of your JavaFX 2.0 Introductory by Example, and still reading. Are you going to publish this kind of book article/s in the near near future? Or else can you give me hint where to look for article/s/document/book regarding these topics? I have looked around but still can not find one yet. Appreciate for your advice and guide. When accessing MS SQL you might want to look at MS Support such as http://support.microsoft.com/kb/313100. 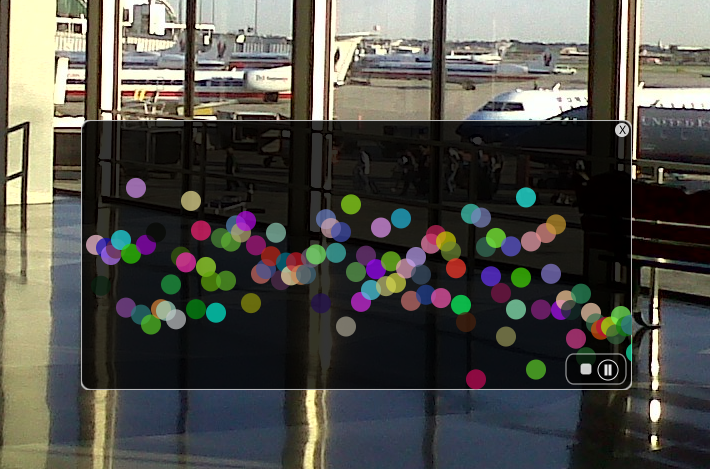 If you want to take advantage of JQuery and EXT-JS you want to use JavaFX’s WebView scene graph node. You can do amazing things by talking to the JSObject. Hopefully I have time I’ll create some example using JQuery or EXT-JS. Hi, Carl! I bought your book and downloaded source code. I found that some samples doesn’t work (exception is thrown) such as CreatingImages (ch.2, sample 1), or PlayingAudio (ch.3, sample 1), and correlates. You have idea for why ? My system is Linux Mint release 13. I’ve not used Mint before. However regarding some of the examples that use undecorated windows (translucent windows) may have issues. You may want to just comment out the code section which removes the title and border areas. Please refer to JavaFX’s Jira bug tracking or the Oracle forums for others who may be experiencing the same issue.